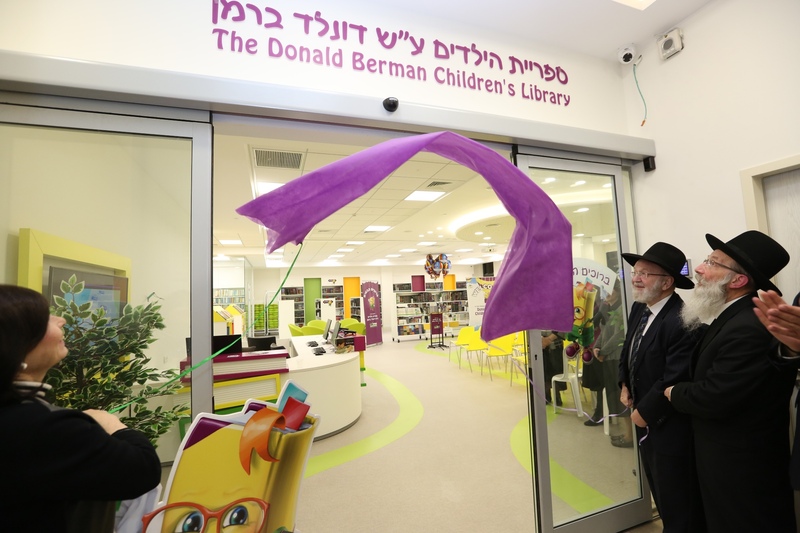 Mr. David and Rivka Muller of the Donald Berman Foundation and Mr. Shmuel Weinglass of the Bituach Leumi Foundation for the disabled, honored us at the inauguration ceremony of the Children’s Library at Achiya, revealing the dedications to the foundations who gave Achiya their generous support needed to establish this special children’s library. Other honored guests included Eli Gideon of the IDB Foundation, supporter of the library , Chaya Fishgrund – project specialist at the Bituach Leumi, Meir Etedgi, accessibility engineer, Michal Herzog of the Wohl Charitable Foundation and Amos Beer, director of the Library for the Blind in Tel Aviv. Read all about it in Sharon Altshul’s article published in Baltimore Jewish Life, sequel to her article from 2 years ago following her first visit to Achiya. 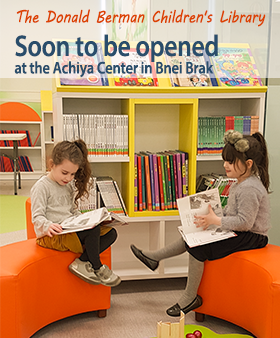 The library is due to open in May 2019.